Wild gooseberries, really any gooseberries, are too tart to make a good ice cream, at least to my mind. Like lemons, they are more sorbet material. We get these crazy Sierra gooseberries up in our mountains here in California, which ripen to a delicious scarlet color. They have an aroma like Sweet Tart candy and just enough sweetness to want to get beyond those hideous spines that protect each fruit. Even the Eastern wild gooseberry will sport hairy spines, so you will need to make gooseberry juice before you can start making sorbet. The juice takes a day to make, but it can store in the fridge a while. 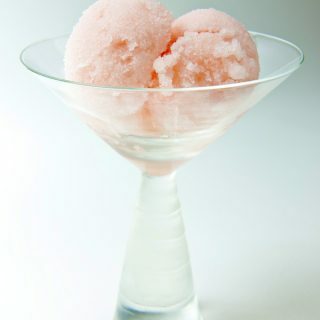 I always add liqueur to my sorbets, because it raises the freezing point of the mixture, making the resulting sorbet smoother. But what liqueur to add to wild gooseberries? Something light in color, definitely. 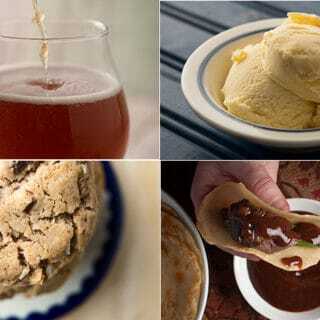 And something that will complement the flavor of the gooseberry. Go with vodka, peach schnapps, or any light-colored, medium-alcohol liquor. Make the gooseberry juice first, following these instructions. This can be done up to a week in advance. Pour the gooseberry juice into a bowl and sweeten it to taste. 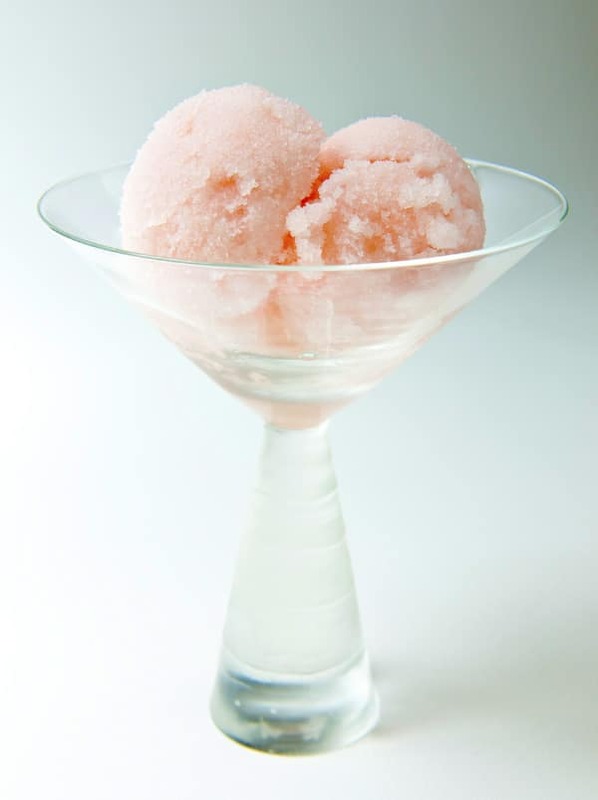 Remember that sugar helps give the sorbet a smoother texture and that our perception of sweetness decreases with cold foods, so make this pretty sweet; I use 2 cups of sugar normally. Mix the sugar, gooseberry juice and liqueur together until the sugar is dissolved. Pour into the container of your ice cream maker and follow its directions. 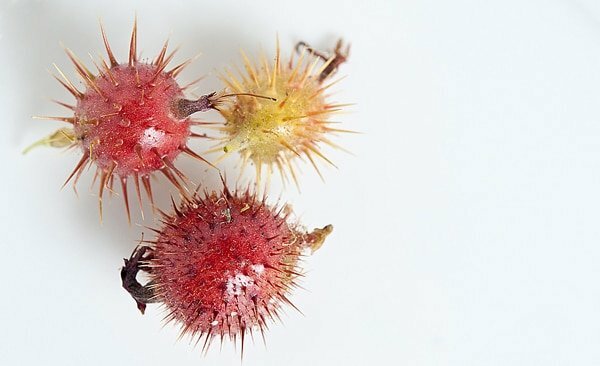 You can find more recipes for sorbet, ice cream and other sweet treats using wild ingredients right here on Hunter Angler Gardener Cook! Hank, sorry for being nit picky, but I think alcohol lowers the freezing point, not raise it. I bet these would make a wonderful frozen yogurt as well. I love Jeni’s ice cream recipe for lemon frozen yogurt and it could easily be adapted for this syrup.